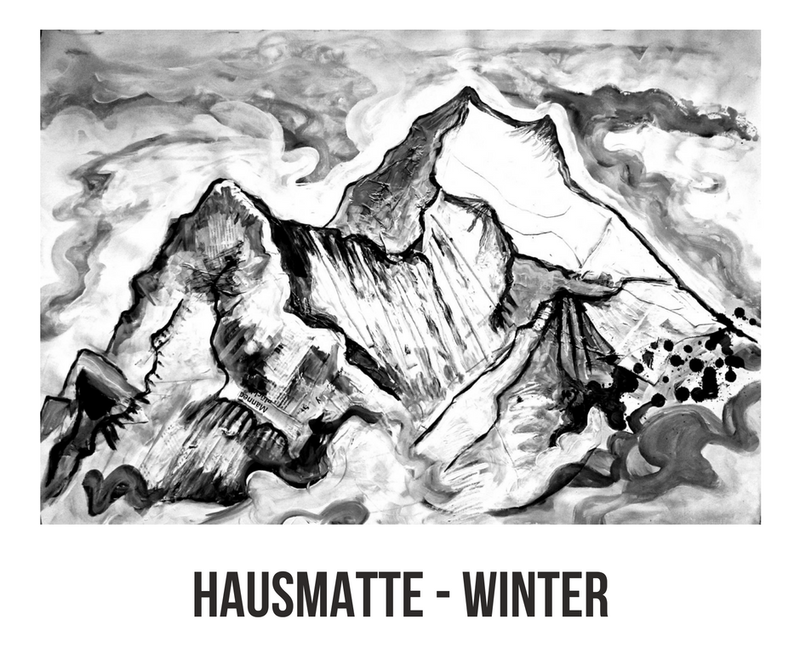 Hausmatte is pleased to be invited to showcase cards, prints and originals from our wonderful artists. 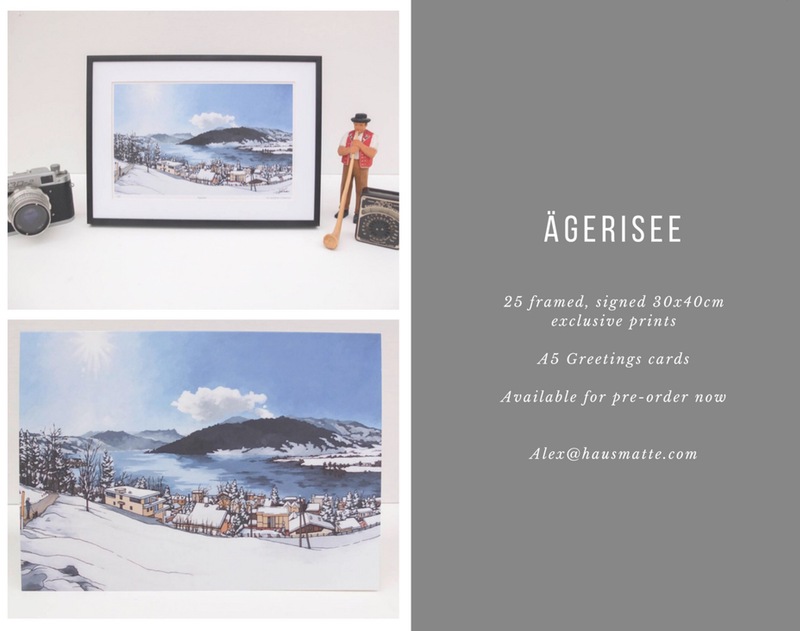 Hope you can stop by and say hello and pick up a unique seasonal gift from us. I have had such an exciting six months working with new Hausmatte artist Joanne Finnegan. She is as engaging and memorable as her paintings and I could spend hours with her at her studio looking at her sketchbooks and watching her work. There is something really special when an artist puts a great deal of their personality, emotions and experiences into their art and is not shy about sharing it with you. For example, I love that she always paints two paintings of a subject matter at once, so as not to feel intense pressure working with an individual canvas. She is also not afraid to experiment with textures and new techniques to develop her style. 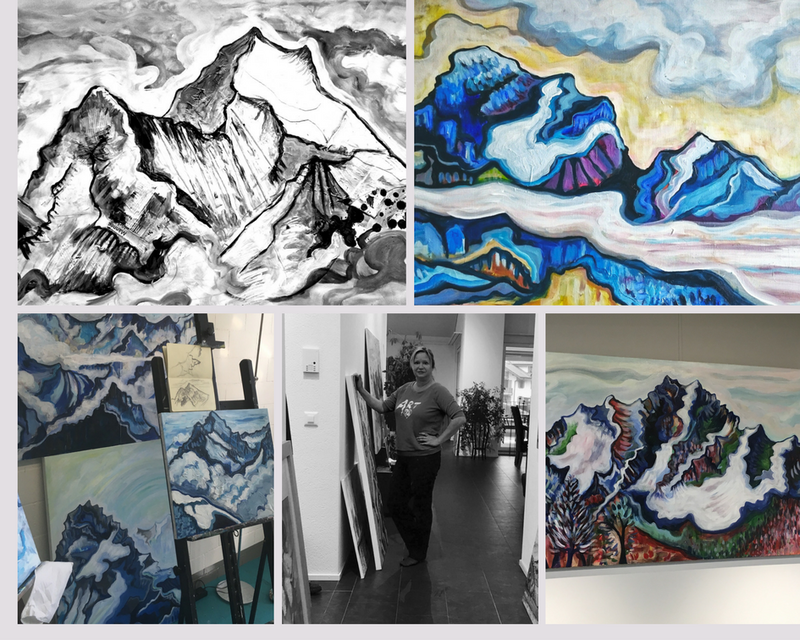 It is really exciting and impressive and many clients have enjoyed the experience of seeing her art and meeting her at the studio – they invariably feel the same way as i do! This year we are enjoying our residency at Toni and Guy hairdressers in Zug. Such an amazing space to show Joanne’s artwork and we try to change things up as soon as one of the paintings finds a new home. For all sales enquiries please contact alex@hausmatte.com. 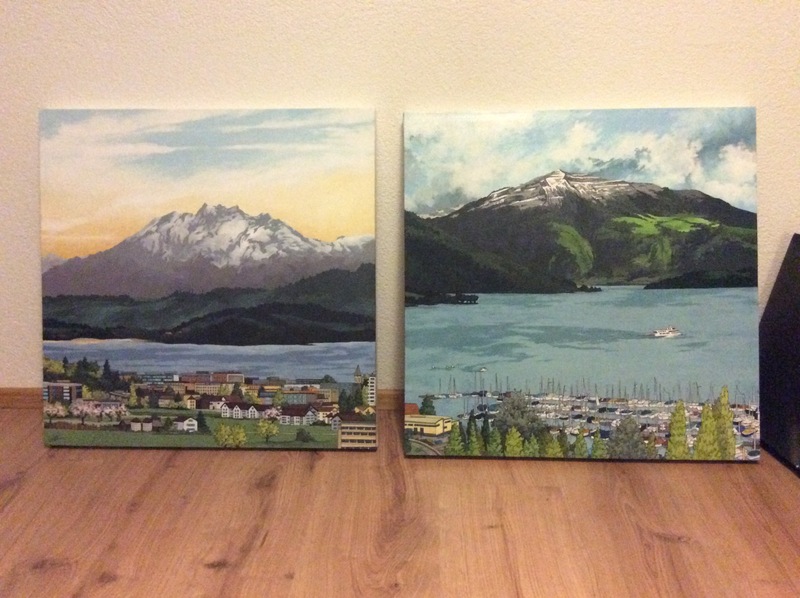 We have several original paintings on canvas and framed from approximate 50x70cm up to 140x120cm. We would love to find you something special for your home. Why not contact me to arrange a studio visit? 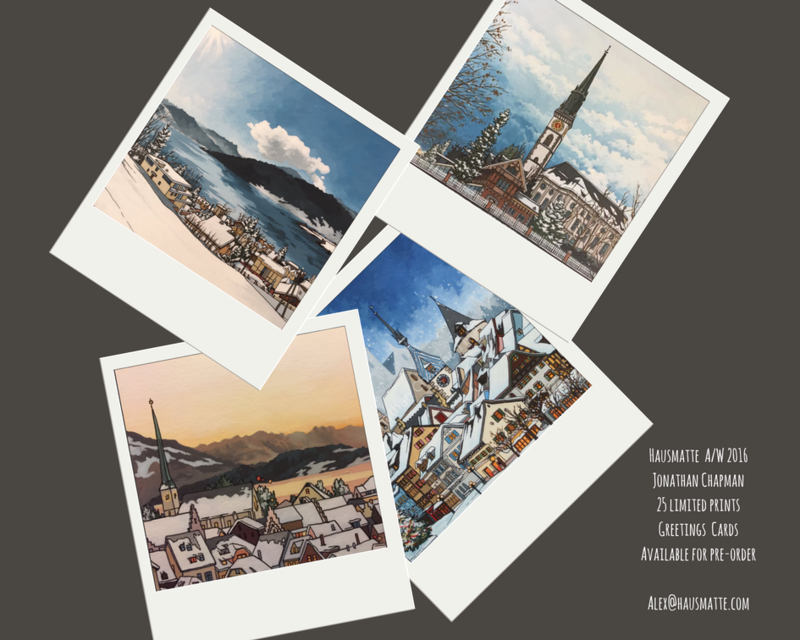 It is not difficult to find inspiration in the beauty of Switzerland in the Winter, but this year Hausmatte artist Jonathan Chapman wanted to focus on areas of Canton Zug that deserve as much attention and appreciation as the Old Town, like Ägerisee and Cham. 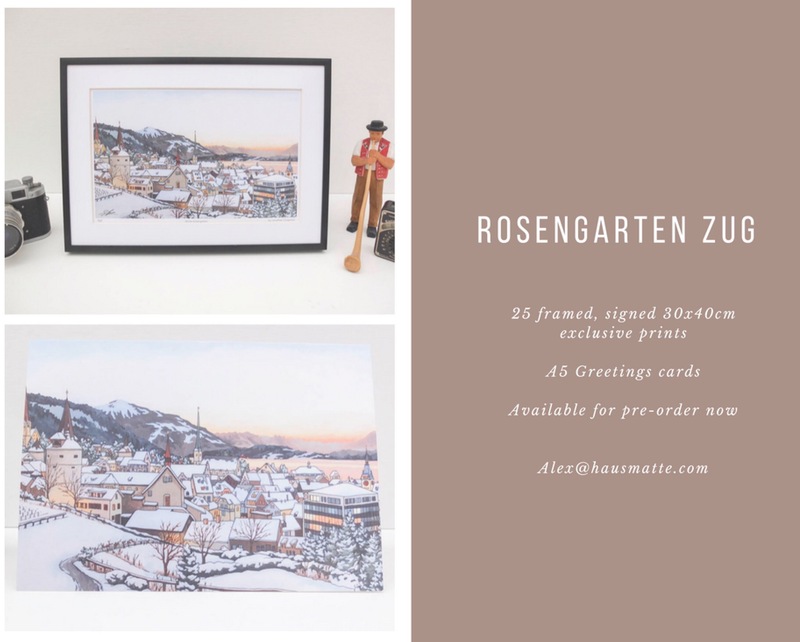 For those who will always be deeply committed to Old Town Zug, we also have a new perspective from the Rosengarten which reflects the season yet captures the dynamic between the traditional and modern in our vibrant and developing town. 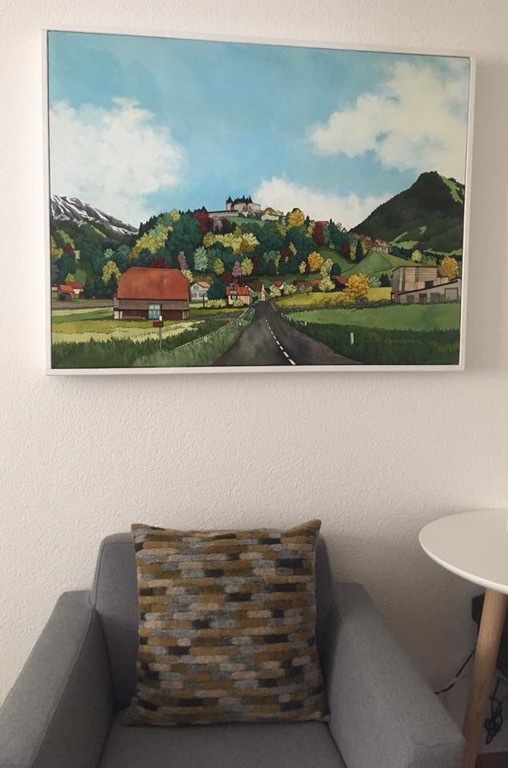 Jonathan’s art is special because it connects people with places they love and we spent time exploring new sources of inspiration back in March. We listened to local people who gave us so many great ideas. 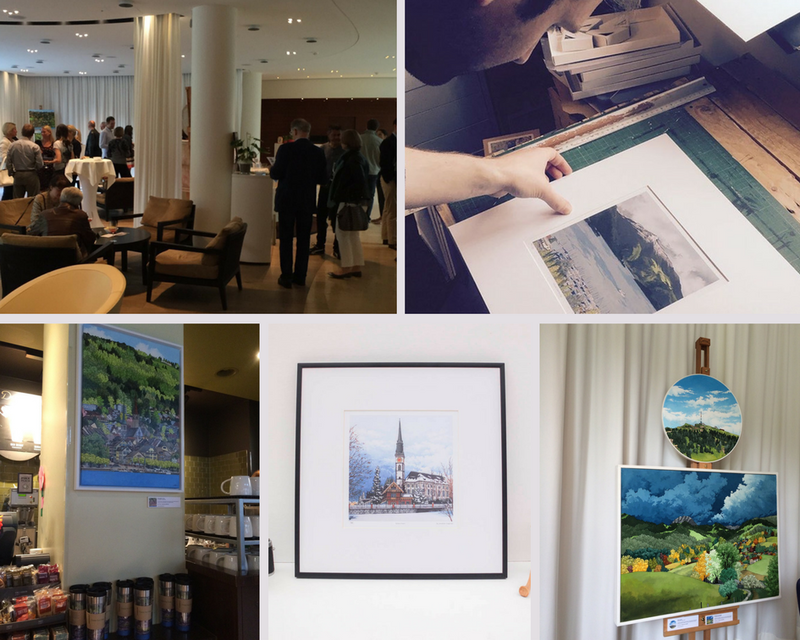 We also had amazing support from those who attended Jonathan’s first exhibition at the Park Hotel in June. This was followed by a short residence in Starbucks Metalli – a much appreciated gesture of support for a local project that has communicating the special qualities of our Canton at its heart. We want everyone to be able to enjoy our art – not just those fortunate to own This year we have great cards, limited signed prints and a small selection of originals from Jonathan’s See Berg Haus series for sale direct from Hausmatte (alex@hausmatte.com) and at selected outlets in Zug like Papnova in Metalli and Wünderbox in the Old Town. 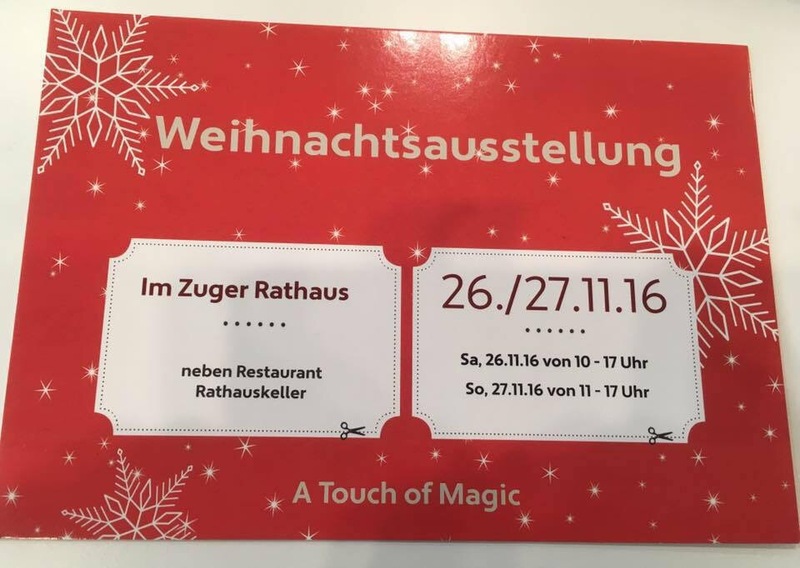 You may also see us at several of the Christmas markets – more details to follow! We would love to help you find a wonderful and unique gift. 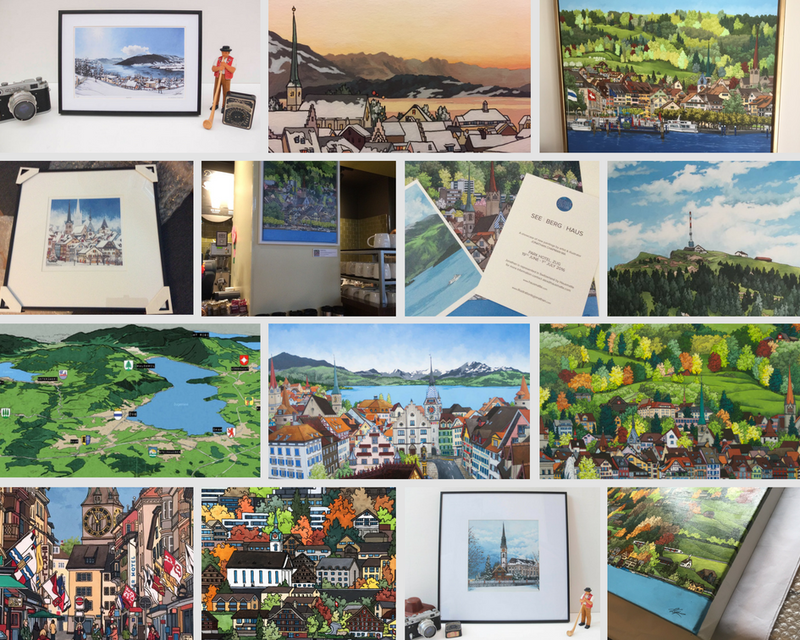 To learn more about Jonathan’s See Berg Haus project, to buy cards, prints or originals or to discuss commission or licensing opportunities please contact alex@hausmatte.com. We find creative opportunities for artists we love.